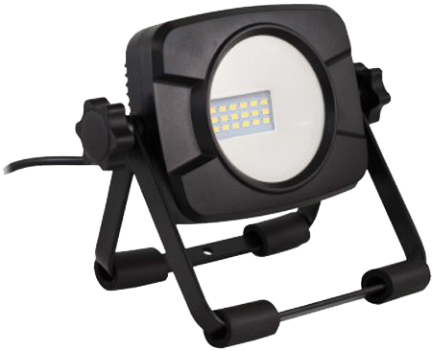 Energy efficient LED work light uses 13 watts. Delivers 1000 lumens of bright CCT 400 K light. 120 volt. Beam width 120°. Shatter-resistant polycarbonate lens Operating temperature: -4 to +104°F. Safe, cool to the touch. Powered by 5 foot AC 1/2 SJT cord. Black.